Wreckage of the plane was found in the English Channel on Sunday, and further searches of the crash site revealed that a body was among the debris. 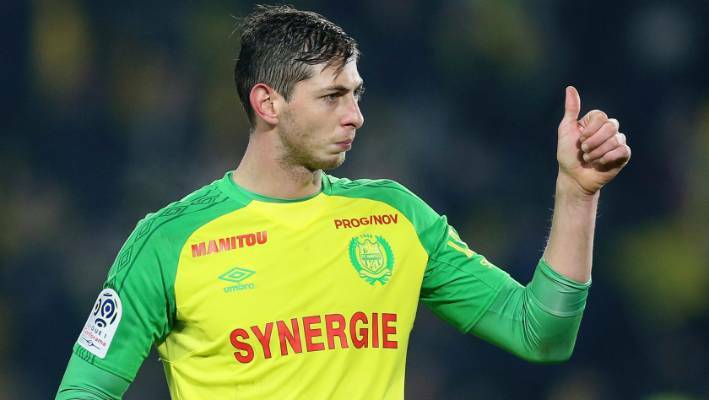 Efforts to retrieve the body were hampered by hard weather conditions but it was finally brought to Isle of Portland on Wednesday night and then ID'd as the former FC Nantes player. Poor weather conditions prevented a full recovery of the aircraft, which remains 67m under water. Ross Taylor of A-to-Sea Solutions - whose survey ship located the wreck - said the crew found the missing plane on its third "line" of the search area in question.